The portal vein is formed behind the neck of pancreas, at the level of L2, by the superior mesenteric and splenic veins. It ascends up along the free edge of lesser omentum, behind the common bile duct. 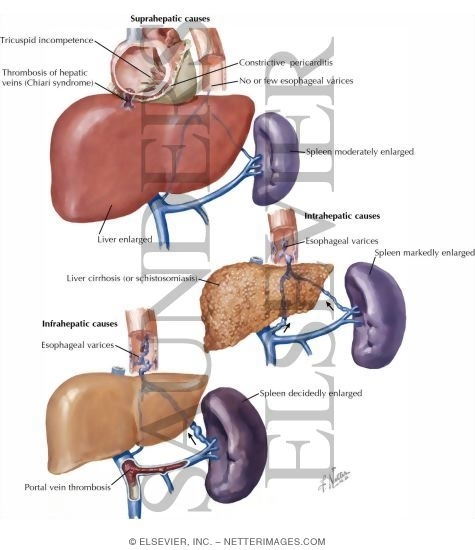 It enters the liver by dividing into two of it's tributaries. The left and right gastric veins joins to it. 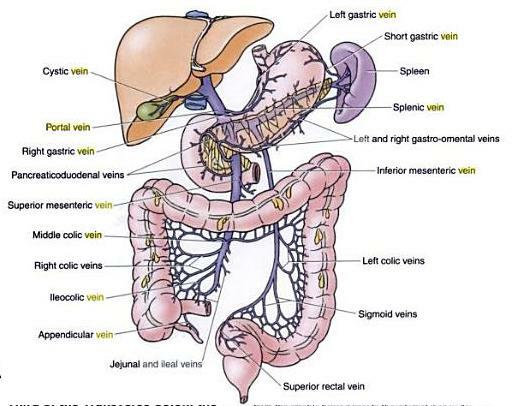 The inferior mesenteric veins drains into the splenic veins. Portal vein is valveless and hence, if there's a raised in pressure in between the right heart and the splanchnic circulation, portal pressure elevates. Normal portal pressure is about 5-10mmHg. Portal hypertension occurs when the portal pressure elevates beyond 12mmHg. At this point, the collaterals at sites of porto-systemic anastomosis opens up in order to decompress the elevated pressure in the portal system. As the portal pressure elevates above 20mmHg, there's a risk of the friable, submucosal esophageal varices to rupture, causing massive hematemesis. Medical management is ideal in such cases. Start Propanolol orally to reduce portal pressure, provided that there's no contraindication against B-blockers. If contraindication present, isosorbide-5-mononitrate is an alternative. Studies have shown that B-blockers reduces 45% of the risk of bleeding. 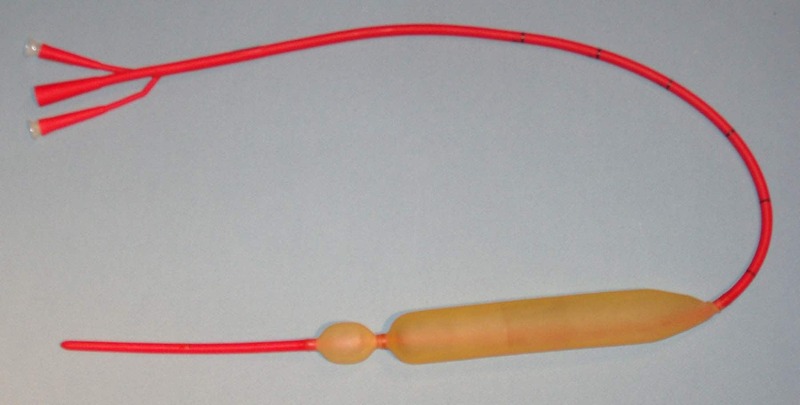 Start Vasopressin IV (Contraindicated in angina) or Somastostatin IV. Usually 3 days later, as the patient's condition has stabilised, start B-blocker to reduce portal pressure and prevent further bleeding. Repeat every 2 weeks the sclerotherapy/band ligation until all the varices have been treated. Oral neomycin is no longer used. Oral rifaximin is the recommended antibiotic at this time, and has replaced neomycin.